Can you describe these animals? This downloadable handout is meant for high school students and elementary school students at Elementary (A1) and Pre-intermediate (A2) level. 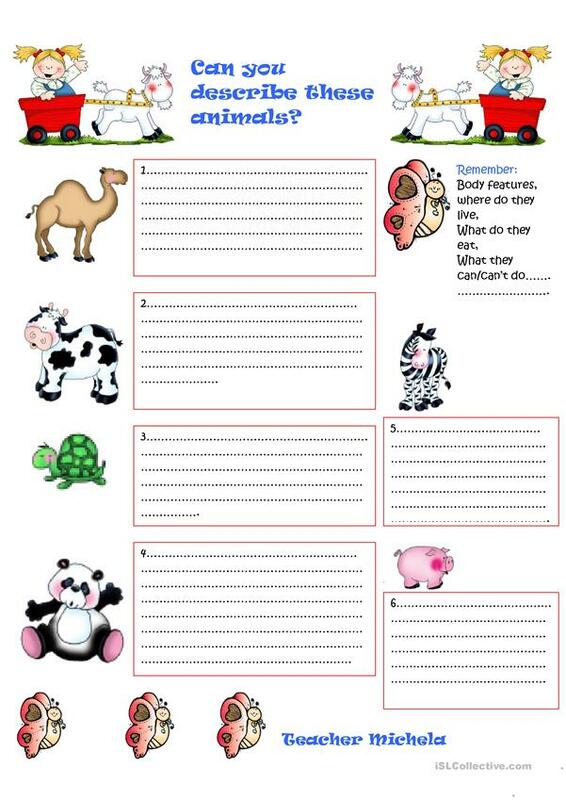 It is useful for strengthening your learners' Writing skills. It centers around the vocabulary topic of Animals.